Thank you, everyone, for such a wonderful Beethoven class! 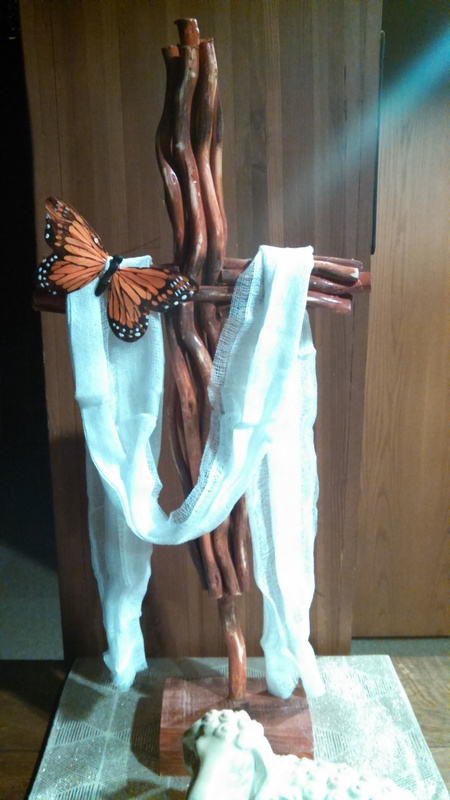 April 21 Easter service at Third Presbyterian Church, 11 a.m.
the blog also publishes on Mondays and Wednesdays. Go here to read those. "When my sister and I were about 8 and 10, we started taking piano lessons. Our parents, who had had no musical education themselves, were determined that their children would get the musical education they hadn’t had themselves. In fact, my mother decided to take piano lessons as well. I remember one year, night after night, trying to go to sleep as Mom practiced “Fur Elise” downstairs - painstakingly going over passages again and again and again. By the end of that year, I swore I’d never listen to that blasted piece again." So, no "Fur Elise" in class. Got it. Actually there were a few of you who wrote that they couldn't stand that piece anymore. In a nutshell, the piece is both viscerally exciting and highly predictable, which is to say it soothes the mind and quickens the pulse. I might differ with some of my colleagues by suggesting that it is also a great musical achievement and I certainly don't mind playing it a couple of times a year. One thing that none of us can deny is that it sounds very hard to play and earns many accolades from an audience. It can also be used and abused by many an amateur organist or professional trying to set land speed records as if it were the Widor 100 meter sprint. The curious thing about all that is that the composer, in the usually doomed but valiant attempt by a composer to keep his creation from being made into a vehicle to simply show off the performer, put staccato dots above every single note and it is really impossible to articulate each note and play the piece ridiculously fast at the same time. We get tourists, sometimes. Or visitors. 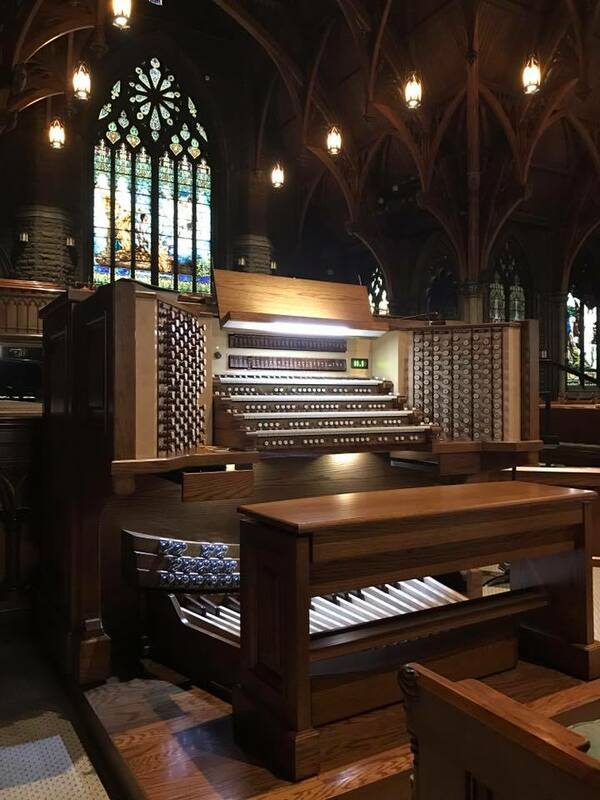 In any case, a young woman walked into our sanctuary one afternoon while I was practicing the organ and decided to ask the question that was pressing on her mind: which is harder to play, the piano or the organ? She did not, it seems, want a complicated answer. ....Transition may be the least natural part of being human. We like to dance, to sing, and to react to what is happening right now, but we aren't very good at preparing for future events. Sometimes we like to deny them, like refusing to wear a coat out of the house because it isn't cold right now (but it will be in a few hours according to the weather forecast). This applies to larger social conditions as well. With gas prices their lowest in years, many Americans are lining up to by the same kinds of gas guzzling vehicles that caused so much pain at the pump the last time prices were high, setting themselves up for the same thing all over. When things are going well, people always think they are going to last forever...and when they aren't going well, it's the same story. But why plan ahead, anyway? 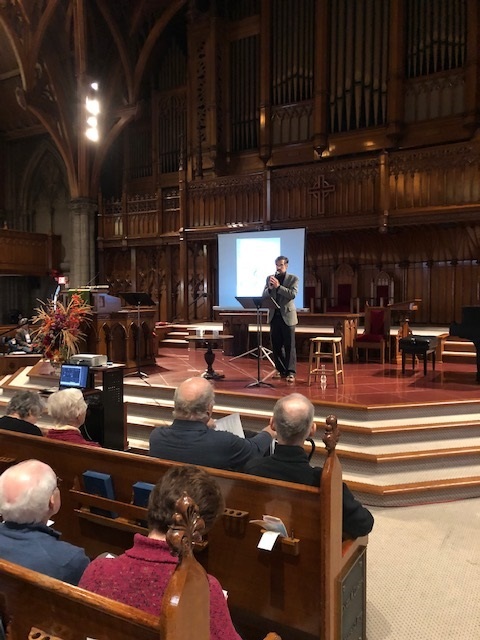 The point of my little sermon is that listening for process, for transition, for the start of something new or its return, isn't just something to keep us from being bored in the concert hall; it's also a life skill.